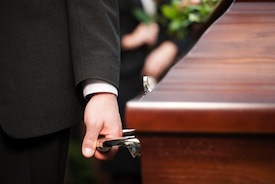 Wrongful death is the legal term given to the death of a person resulting from someone else’s negligence. While wrongful death cases may seem straightforward, they often involve complex legal analysis and decisions about what law controls. Most states, including Florida, have wrongful death statutes enacted by the legislature, which govern who can bring an action for wrongful death and what types of damages they can recover. For instance, under Florida’s wrongful death statute, the right to recover damages for wrongful death is limited to the deceased person’s personal representative, spouse, and children under a certain age. Other statutes, such as Florida’s Sovereign Immunity Act, also limit the amount that a person can recover against the government if their death is caused by the state or one of its agencies. However, there are exceptions to these statutes, which are sometimes unclear and often require a judge to determine whether and to what extent these statutes apply. Accidents resulting in death or catastrophic injury arise in a variety of circumstances: during the operation of automobiles, heavy equipment, or other vehicles, while working on construction sites, while operating boats or personal watercraft, or as a result of negligence in hospitals, nursing homes, or other medical facilities. Sometimes accidents resulting in death occur while the injured person is in the course of their employment, which may give rise to a defense that any recovery is limited by the worker’s compensation statute. However, as with the Florida Wrongful Death Act, a number of exceptions to the worker’s compensation statute exist which may allow an employer to be sued in negligence. Additionally, parties other than the injured person’s employer that are not subject to worker’s compensation law may be wholly or partially responsible for the death of the injured person. Determining the identity and responsibility of these parties is often critical to maximizing a client’s recovery. A person’s right to recover for wrongful death may also vary, depending on where the act causing death occurred. Wrongful death arising from negligence that occurred at sea is typically governed by the Death on the High Seas Act (DOHSA). Similarly, if a person dies as a result of negligence while in a federal building, or while being treated by doctors at a hospital owned by the United States, their claim would likely be subject to the Federal Tort Claims Act. Since each of these laws has its own requirements and limitations, it is crucial to determine early on in the case what law applies, and what the possible legal issues are that may come up during the course of litigation. Because accidents resulting in death or catastrophic injury often involve substantial damages, it is usually necessary to retain a variety of experts, including accident reconstructionists, economists, and safety specialists. It is also helpful to have an understanding of insurance coverage issues that may arise, since the existence of insurance coverage may have a significant impact on a negligent party’s ability to pay a judgment. The Pollack Law Firm has the ability and experience to handle wrongful death cases arising either on land or in navigable waters. Call us today to schedule a free consultation.